Manufacturing is an industry driven by innovation. Growth in manufacturing technology is constantly changing the industry, propelling it forward to meet the demands of a worldwide market. To stay on top, manufactures need to not only adapt to changes, but also position themselves as pioneers of innovative thought and technology. Top manufactures know that this means keeping ahead of industry trends. What trends will industry leaders be looking at this coming year? Be on the lookout for growth in technologies, higher-level innovative thinking and a focus on developing a more direct path to the consumer. Here are 5 of the hottest manufacturing trends you need to know now and for the year ahead. The IoT has been key in driving the transformation of global manufacturing. As an industry, manufacturing is the largest spender on IoT technology. Last year alone, IoT spending in manufacturing reached $178 billion. This year, we can expect to see that number grow. 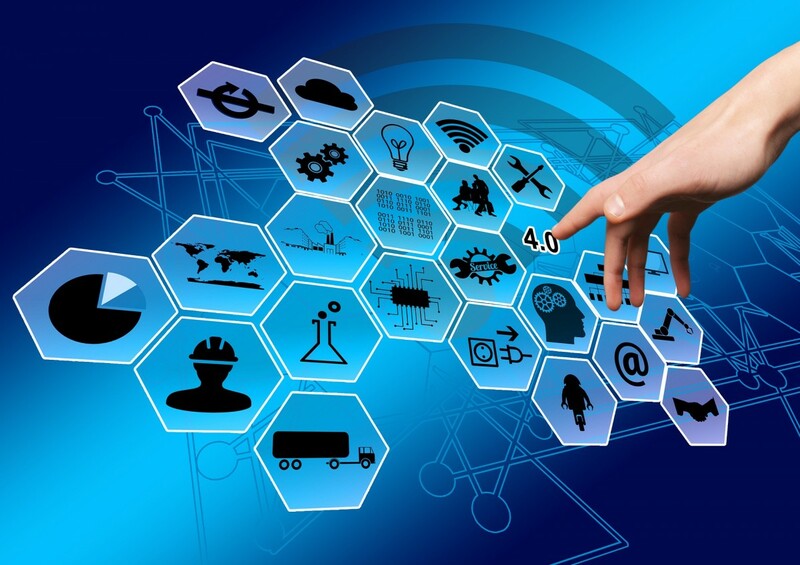 IoT technology allows manufacturers to connect software, integrated systems and devices from around the world. The manufacturing industry depends on the data collected and organized by IoT technology to constantly assess their process and make quick decisions with real-time information. As IoT technology continues to help manufacturers create better products and build a stronger industry, it will remain key to an integrated approach that includes robotics, big data analytics and new operational technologies. As a manufacturer, IoT technology is the tool you need to keep connected to the global manufacturing industry. 3D printing is about to revolutionize how the manufacturing industry approaches product development. Prototype development and production is one of the costliest aspects of the manufacturing industry. 3D printing gives manufacturers a way of creating tangible product prototypes without committing to a costly production process. With just one machine, manufacturers can create functional prototypes, analyze opportunities for improvement and strategize on how to make it better. In the past, the constant cycle of prototype development, production and tweaking has consumed resources that, thanks to 3D printing, can now be allocated more efficiently in the industry. Augmented reality, technology that blurs the lines between reality and computer-generated graphics and sounds, will take the leap into manufacturing this year. Augmented reality gives manufacturers the opportunity to test products in a virtual real-life platform. From the beginning stages of product development, through to the end product, augmented reality will provide manufacturers new troubleshooting and problem-solving opportunities before products hit the open market. Augmented reality is also a tool that manufactures will find useful in increasing productivity. According to Industry Week, AR technology increases engineer’s accuracy by 96%, while working 30% faster. These are numbers that easily convert to more potential for innovation and increased revenue for the manufacturing industry. There is nothing new about the association between robotics and manufacturing. The two have been hand in hand for decades now. New developments in robotic technology and automation will become even more influential in the manufacturing industry. Automation makes it possible for manufacturers to reach new levels in areas of production, precision and safety. There are just some things that robotics can do better, faster and more efficiently than humans. The current advances in robotic technology have supplied the ability to replicate and perform complex series of human tasks with more accuracy than ever before. There is no question that automation is the answer to many of the industry’s shortfalls, and manufactures world-wide are looking at how they can better optimize the latest in automation technology. Automation is also predicted to drive job growth in the manufacturing industry. While advances in automation night replace more entry level jobs, this presents the opportunity for those workers to develop the more specialized skills the manufacturing industry needs. It is estimated that robotics and automation will result in the creation of 15 million jobs over the next decade. It will be exciting to see where automation takes manufacturing in the next few years. Every industry wants to drive profits. To do this, you must identify the roadblocks that keep you from maximizing revenue. In manufacturing, that main roadblock is the middle man. With advanced technology that better facilitates direct relationships between manufacturers and customers, those in the manufacturing industry have grown tired of funneling money into the pockets of the middle man. More manufacturers are moving from a B2B strategy to a customer focused B2C concept instead. While profit is a big motivator in this trend, manufactures are also learning that direct customer relationships are more satisfying and provide better insight for future product development than relationships with retailers alone. Direct to customer sales a two-way, mutually beneficial relationship that consumers will be quick to adopt. This strategy means better prices for them, but also higher quality goods. Today’s customer is just as interested in the consumer experience as they are the product itself. Focusing directly on the customer creates the personalized buying experience that consumers are demanding. This is a top-notch strategy for manufacturers to take control of their image and build brand loyalty. Have you given thought to how innovative technologies will energize your manufacturing firm in the near future? Don’t stay stuck in the past. Great things are happening in manufacturing, and now is the time to jump on board and see where they will take you.